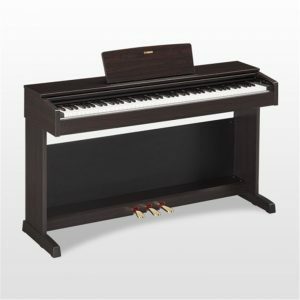 The Rodgers Artist Series 599 organ features 3 keyboard manuals with lighted drawknob controls, 10 configurable toe pistons, and 20 internal memory banks. 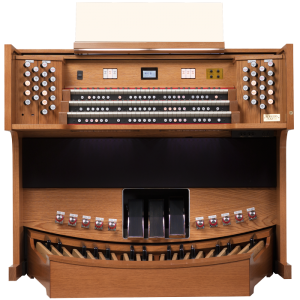 Built-in Hymn Player offers 350 frequently played hymn tunes at the touch of a key, and USB storage allows you to save all organ settings as well as an unlimited number of recorded performances. 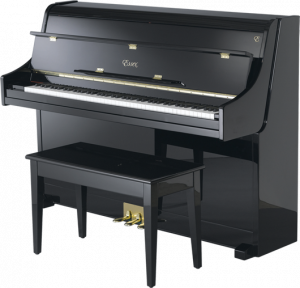 With authentic pipe organ sound and exceptional flexibility, Artist Series 599 is ready for any repertoire.